Fees associated with Kyrgyzstani PCT national phase entry as well as other patent fees are available in the fee calculator. The deadline for entry the Kyrgyz national phase of a PCT application is 31 months from the priority date. Filing of description, claims, figures and abstract are required to obtain a date of filing for the Kyrgyz patent application based on the PCT. The official languages of the Kyrgyz application based on the PCT are Kyrgyz and Russian. Russian translation is acceptable; however, the claims and abstract of the PCT application still should be translated into Kyrgyz. The translation of the PCT application into official language should be provided within three months from the date of entering the Kyrgyzstani national phase if it is filed in any other language. Official legalization or notarization is not required. It may be provided within two months from filing. The substantive examination of a patent application is optional. The applicant should file a request specifying whether he wishes to conduct substantive examination or a patent should be granted based on the results of the formal examination. In case the corresponding request is not filed within 30 months from the national phase entry date, the application is considered withdrawn. An applicant may amend an application free of charge within two months from the national phase entry. If the amendments are made after the two-month term, a document confirming the payment of the corresponding fee should be enclosed. The official fees for patent registration should be paid within two months from the date of receipt of the decision to grant a patent. The first post-grant annuities starting from the 3rd year must be paid within this term as well. All next annuities are counted from the international filing date and are paid before the beginning of the following year. Representation before the Kyrgyz Patent Office through a registered Kyrgyzstani patent attorney is required for foreigners or stateless persons residing or having a permanent location outside Kyrgyzstan. 2. 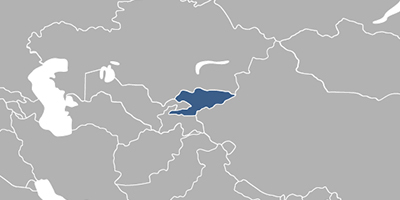 The PCT application in Kyrgyzstan may also be nationalized via entering the Eurasian regional stage. 3. Entering the PCT national phase as a utlility model is possible in Kyrgyzstan.